Includes: Comark C9553/SIL Pressure Meter, Tubing, Connectors and case. 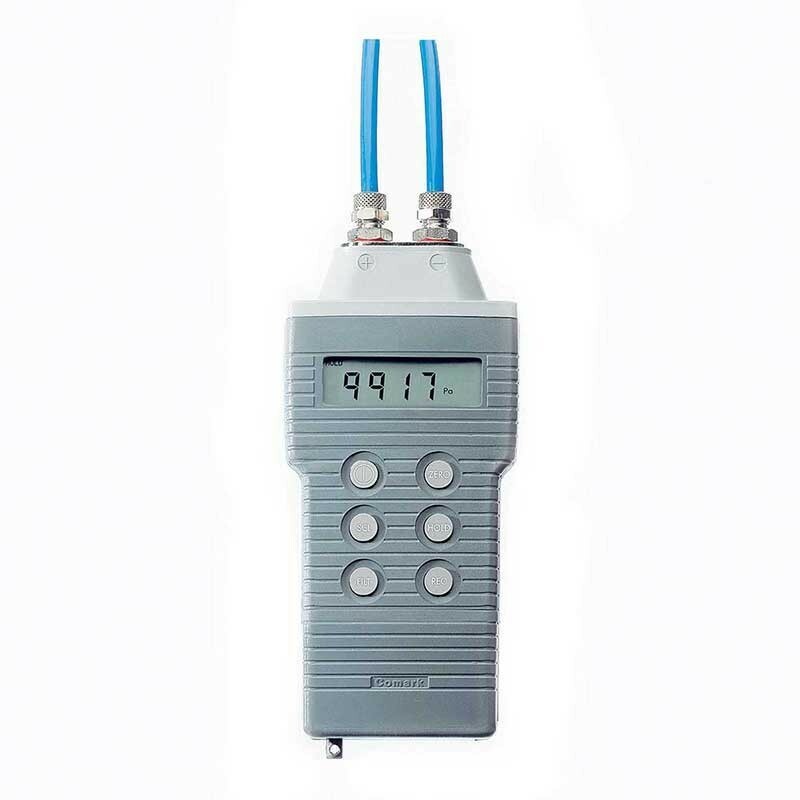 The Comark C9553/SIL (with Silicone protection for liquid pressure measurement), combines high accuracy with speed of response and has twin inputs for gauge or differential pressure measurement. Typical applications include boiler flue draft, air conditioning filters, laboratories and clean rooms, process pressures, service and maintenance and the calibration of other instruments. 0 - 5 PSI / 0 - 350mbar pressure meter. Silicone protection for liquid pressure measurement. Maximum Over-Range Pressure: 15 PSI / 1000mbar. Dual inputs for gauge and differential pressure measurement. Maximum, minimum pressure and hold function. Pressure Measurement Range 0 to 350 mBar - 0 to 5 PSI (See manual for other ranges). Accuracy ±0.2% of full scale (FS) at +23°C. Repeatability ±0.1% of full scale (FS) at +23°C. Mean Temperature Coefficient of Reading <0.1% per °C. Operating Range 0 to 50°C, 10 to 90% RH non-condensing. Environmental Protection IP67, BS:EN60529, IEC529. Battery 9V PP3 6F22 — MN1604 UCAR9V. Battery life 125 hours (using MN1604). Low Battery Warning Displays BAT just before end point of battery. Over 9999 Reading Indication Lowest 4 digits blink. Weight 330 g including battery. Comark C9553/SIL warranty 2 years. 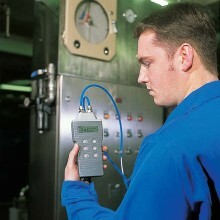 PDF Specifications of the Comark C9500 Series of Pressure Meters.